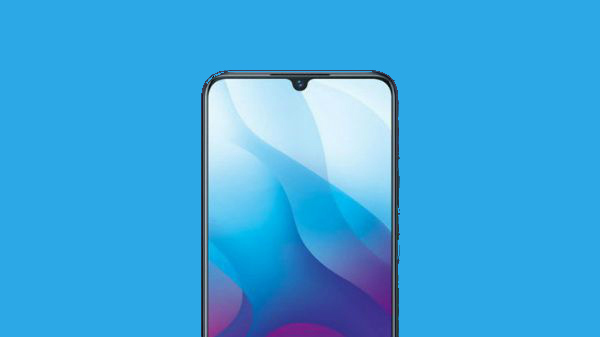 Samsung Galaxy A50 is launched and it is regarded as one of the best mid-range smartphone based on some interesting features. It has a triple camera system at rear which works greatly- which makes it an iconic. Even its accessories case and covers look fantastic, which you can obtain from Amazon at the best price deals. Check out some of the picked up accessories in the list that we have mentioned below. While buying these products from Amazon, you get some excellent offers. You can get 10% cashback up to Rs. 100 using Visa Signature or Visa Infinite cards. All you need to shop during the Visa Shopping Days starting 20th to end of every month- which is applicable on shopping, recharges and bill payments. And get cashback within 3 days from shipment. You can get 25% back up to Rs. 50 using Amazon Pay UPI, no cost EMI available on Amazon Pay ICICI credit cards on orders above Rs. 3000 and many more. PERFECT COMPATIBILITY: An excellent fit for the Samsung Galaxy A50. All cutouts and buttons are precisely designed to access all your device's features. PREMIUM LOOKS: Glistening Deluxe Leather surface provides your phone with a rich sophisticated look. DESIGN FOR SAFETY: Inner TPU case provides shock absorption while outer flip case design safeguards your device from dents and scratches during impact. 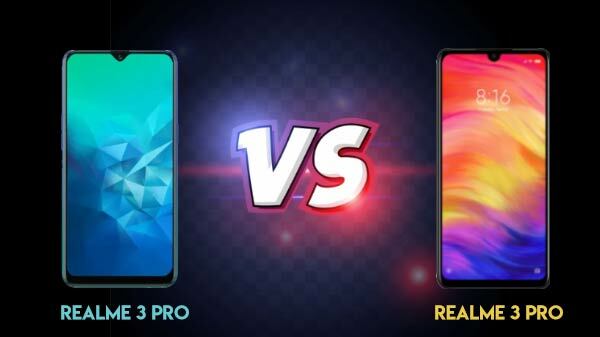 Samsung Galaxy A50 : Simple but not normal. We've adopted TPU (Bayer) material and a perfect new design that minimizes bulk and maximizes portability. Keeps your phone always brand new. PERFECT FIT: Precisely designed for Samsung Galaxy A50, the case has open cutouts for speakers, charging ports and audio ports. Covers the buttons neatly and offers quick accessibility. Feel the ease of using your phone freely. EASY TO INSTALL: Just Slip your Phone in The Case and you're ready to go. Golden Sand Premium Leather Texture Series Armor Case with Anti Shock Corners is thin as well as impact and shock resistant. Made up of high quality eco friendly materials, inside web pattern, proper holes and cut-outs for sensors. Raised lips protect the screen and camera bump. Unique Look featuring Original-like Leather Texture combined with subtle stitch design and glossy accents. Easy to remove & install, anti finger print, anti scratch, washable case. Heat Dissipation Design, flexible and tear resistant. Tactile Buttons for natural feedback and easy press. Available in three elegant colours. Trusted Quality. Quality difference is felt from other products as soon as our product is held in hand and used. Package Content: 1 Premium Leather Texture Series Armor TPU Case. Warranty: We provide 6 Month hassle free replacement/return warranty on incorrect product, mis-fit or defect in workmanship. No warranty if product is used or intentionally damaged. Note - Images are only for illustrative purposes, actual product and colour may slightly differ. 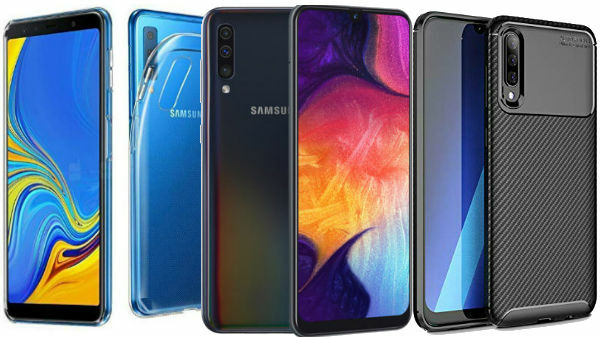 Specially Made For SAMSUNG GALAXY A50 ===>> PRECISION ENGINEERED; combining style and functionality seamlessly together, the Leather Flip Case offers a slim and lightweight design together with triple card slots and a money pouch to keep all of your daily essentials together in one place. COMPLIMENT YOUR Phone WITH YOUR SLEEK LEATHER WALLET CASE: Your elegant leather wallet case slips comfortably into your pocket and fits your Phone perfectly. It gives you seamless access to all ports and features, including a convenient speakerphone hole that allows you to talk without the need to open the cover. Beautiful fusion of Brushed Metal and Carbon Fiber Texture give a good look to your phone. Made with a Highly Durable Soft TPU core with Air Cushion Technology For Intense Fortification against Drops and Raised Lip Design For Protection of the Screen and Camera. Thin Light and Minimalist design for minimum bulk. Special cobweb design on the inside helps Dissipate Heat Faster from your Phone keeping it Cooler. Ensures ultimate connectivity. Extra large openings allow easy access to all ports, buttons, and camera. Compatible with most battery chargers and earphone jacks. ValueActive ShockProof Armor Series for New Samsung Galaxy A50 Mobile Phone with Anti Shock Corners is thin as well as impact and shock resistant. Made up of high quality eco friendly materials, inside web pattern, proper holes and cut-outs for sensors. Raised lips protect the screen and camera bump. ValueActive ShockProof Armor Series with Anti Shock Corners is thin as well as impact and shock resistant. Made up of high quality eco friendly materials, inside web pattern, proper holes and cut-outs for sensors. Raised lips protect the screen and camera bump. Unique Look featuring Smooth Silk Brushed texture, glossy accents and carbon fibre texture. Easy to remove & install, anti finger print, anti scratch, washable case. Heat Dissipation Design, flexible and tear resistant. Tactile Buttons for natural feedback and easy press. Trusted Quality from ValueActive, Quality difference is felt from other products as soon as our product is held in hand and used. EASY ACCESS PORTS- Ensures ease of connectivity, extra large openings allow easy access to all ports, buttons and camera compatible with most battery chargers and earphone jacks. The microphone holes, charger port, and speaker holes are all fully exposed with direct acce.Soft TPU & Protuberant buttons: Soft TPU helps extend the life cycle of the case, it will not get deformed after taking it off and putting it back on multiple times because it is highly flexible and can against bumps. There's a cover molding over the button of power, volume down and up, that makes buttons are responsive and easy to press.